Is it a crime to tweak a recipe until it’s simple, easy, and an instant family favorite? I didn’t think so. This recipe certainly hits all the high notes of a great weeknight dinner (quick, uncomplicated, and easy to throw together) with the added benefit of a dinner I can tailor-make for whomever I’m feeding. When the entire meal disappeared in one sitting, I was SOLD! 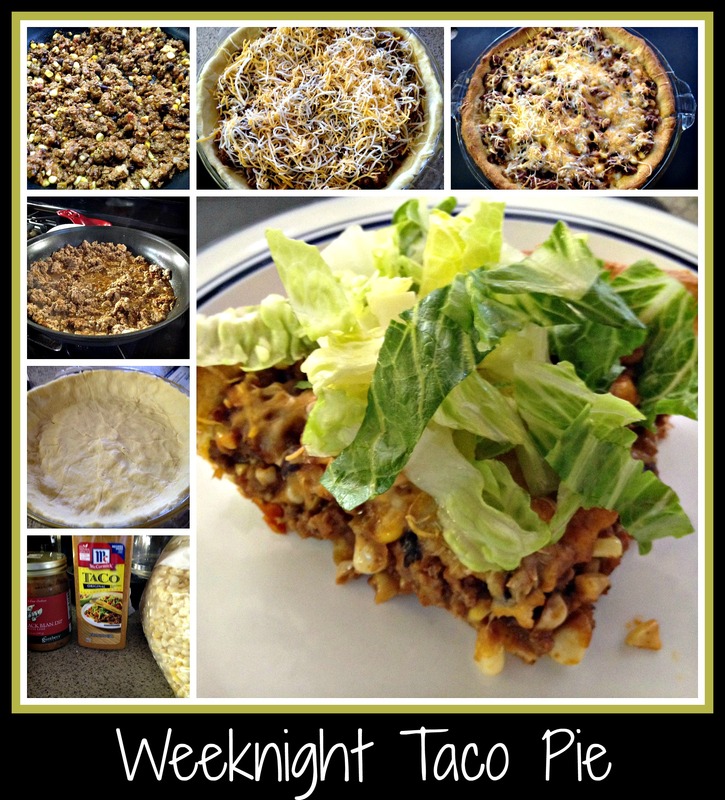 I started with a basic recipe that I stumbled upon on Facebook – I think it’s originally a Pillsbury recipe for a Taco Bake. I used one roll of Pillsbury Crescent dough and pressed the dough together around a pie plate. I then browned one package of ground turkey until thoroughly cooked. I then heavily sprinkled the browned meat with taco seasoning and red wine. I cooked the meat until the taco seasoning and wine were both well incorporated. For this recipe, I used a red wine from my fridge – my favorite to use in this sort of situation would normally be James River Cellars’ Rad Red or James River Cellars’ Meritage but since Rad Red isn’t available right now, I used a Pinot Noir that I picked up in March at the Hilton Head Wine and Food Festival. Once the taco meat was ready, I added 1 cup of frozen fresh corn and 1 cup of Gunther’s Gourmet Spicy Black Bean Dip, which I had picked up at James River Cellars Winery. I put the meat mixture in the crescent-dough-covered pie plate and topped the meal with a generous portion of shredded Mexican cheese. At this point, I put dinner into the oven at 375 degrees for 15-18 minutes. Once dinner was cooked through and the crescent dough was nicely browned, I served the meal on plates with shredded romaine lettuce. What a simple, yet incredibly tasty, dinner. I’ll be able to alter this recipe as I make this dinner again and again. I can switch out salsas for a different taste. I can leave the salsa out altogether. I can add onion and green pepper into the meat mixture. I can use a more decadent cheese. There are tons of ways to make this recipe more unique and individualized… and I hope you’ll consider trying every one of them! This entry was posted in Cooking, Recipe, Wine and tagged black beans, corn, easy recipe, Gunther's Gourmet Spicyy Bean Dip, James River Cellars Meritage, James River Cellars Rad Red, red wine, taco meat, weeknight dinners.